There is a good article by Eric Lipman on the NY Times today (expanding on a December Arkansas Project post) about health insurance corporation money pouring into a national “non-profit” group, National Federation of Independent Business, which is in turn pouring money to the tune of $500,000 in advertising into Arkansas for “issue advertisements,” (because they aren’t allowed to be political and keep their non-profit status). See…informative. Not political at all. I wonder if the ad says anything hinting at who you should maybe vote for in the Arkansas Senate Race? (Hint: yes). REGARDLESS OF HOW YOU FEEL ABOUT THE ARKANSAS SENATE RACE, YOU CAN’T TELL ME THIS ISN’T A POLITICAL AD! The ad IS paid for by Voice of Free Enterprise, but tax records filed late last year by the group show $1.593 million of the organization’s $4.9 million in revenue came from an anonymous donor in 2012, the largest single contribution.A spokesman for America’s Health Insurance Plans confirmed that this is where the money went. For the viewers of the television ad in Arkansas, there would be no way to know that the message was actually paid for in part by health insurance companies, which are vehemently opposed to a tax on health care premiums that will cost insurers roughly $100 billion over the next decade. I don’t know how I feel about the tax issue because I haven’t looked at the legislation and probably wouldn’t understand the nitty gritty tax issues in any event, but that’s not the point. Another major donor to the Voice of Free Enterprise campaign, a comparison of multiple federal tax records shows, was Freedom Partners, a group founded by Charles G. and David H. Koch, the billionaire corporate executives and owners of the Kansas-based Koch Industries, who have been vocal critics of the Obama administration. Seriously, is there anything that the Koch’s don’t have their fingers in? 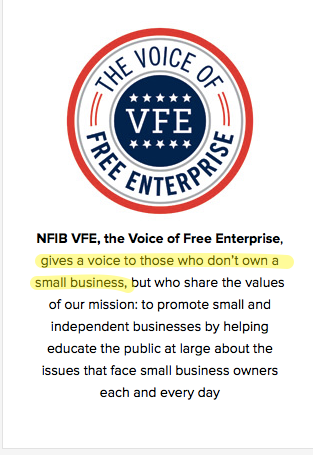 Just substitute “don’t own a small business” with “do own large a business.” They are literally tricking small business owners into being human shields for their political activities. And as of now, it’s entirely legal . The National Federation of Independent Business has a complicated legal structure: It has at least five separate nonprofit groups through which it moves money; at times, money is donated to one of the divisions but is then transferred and spent by another on an apparent political cause. 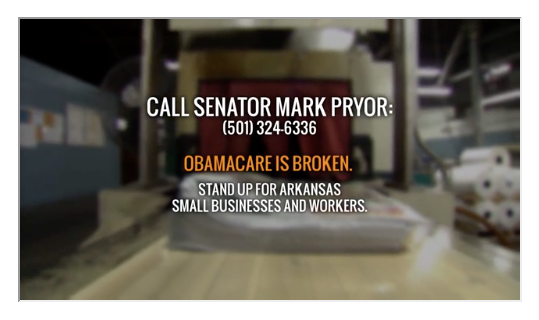 The group calls the spots run in Arkansas “issue ads,” meaning they are not explicitly political and so would not affect the group’s status as a nonprofit, even though they clearly point a finger at Mr. Pryor. The Internal Revenue Service this year had considered changing the way political activity by such nonprofits is defined — to try to impose greater limits on groups that do not need to disclose where they get their money. But after protests by conservative and liberal nonprofits, that effort was delayed. Here’s the link to the New York Times article.